Cities on the coasts like San Francisco and New York City offer a cultured vibe that’s hard to match. But with the astronomical cost of living and ultra-competitive housing markets, simply surviving in a trendy urban center is increasingly difficult to afford. People looking for an innovative and entertaining place to live that won’t empty your bank account shouldn’t pigeonhole themselves along the Atlantic or Pacific, though. They should instead be looking toward the Midwest. More specifically, they should be looking to Columbus, Ohio. As people and businesses branch out from coastal hubs, and as remote work edges ever further into the mainstream, the Buckeye State is becoming a destination for young creatives and people wanting to forge their own path. From retro barbershops and a thriving fashion industry to tasty eats and craft beer, Columbus is one city in the Midwest you shouldn’t fly over. Columbus is among the fastest-growing cities in America. The population of Columbus is rapidly approaching 900,000 residents. Columbus is the eighth fastest-growing city in the US in terms of percentage increase in population and the only city in the Midwest to make the top 15. Ohio’s capital, known by locals as C-bus and nicknamed the Biggest Small Town in America, is frequently ranked among the best big cities to live in, and Fast Company even dubbed it the “city of the future.” Young people move to Columbus to start their adult lives at Ohio State University, and many stay after graduation because they’ve fallen in love with the city’s vibe and the wide array of cultural offerings. The restaurants are trendy without trying. The city’s true appeal lies in its ability to shine even without the spotlight. Take brunch, for example. 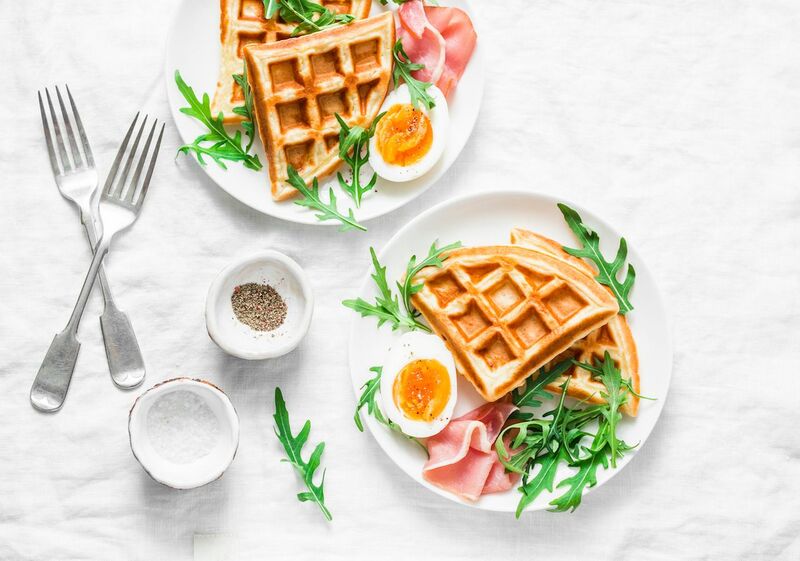 Portland residents like to brag about its brunch superiority, but the brunch scene in Columbus is equally on-point. Plus you can have a quality dining experience without emptying your wallet or waiting in line for two hours to get a table. Whether you’re running out in your yoga pants for a quick bite or clinking glasses of mimosas with your crew, there’s no shortage of tasty joints in C-bus. Check out Skillet for a farm-fresh brunch that will rock your world, with menus changing based on the season and what the kitchen hauls in from nearby farms. The Cloud Nine Pancakes at Northstar Cafe will put you on, well, you get the idea. Fox in the Snow also serves up breakfast sandwiches and pastries worthy of the ‘Gram, and for a truly outstanding Bloody Mary to accompany your chicken and waffles drenched in blueberry sauce, don’t miss The Pearl. When you’re in need of some late-night grub, head to Dirty Franks where the hot dog toppings range from baked beans and crushed-up potato chips to sweet corn and jalapenos. Keep your eats customizable at Condado Tacos where they stuff just about anything you could want into a tortilla. If you think you’re up to the challenge, order the Thurmanator at The Thurman Cafe. Man Vs. Food couldn’t resist this monstrous burger with its two 12-ounce patties. The Columbus art scene has it all. Nicknamed the Indie Arts Capital of the World, Columbus embraces a variety of artists and styles. 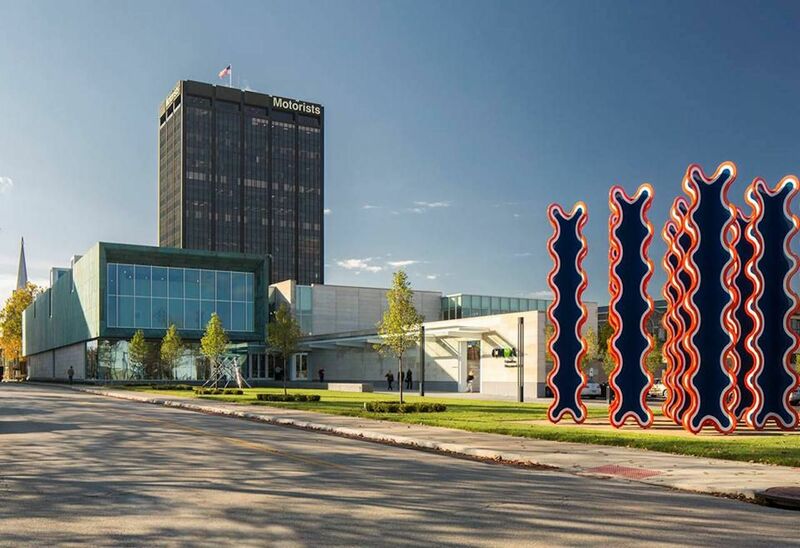 Visit the Columbus Museum of Art for Think Like an Artist Thursdays. You’ll get the chance to interact with local artists while enjoying live music and cocktails and maybe even make some art of your own. Even if you’re not in town on a Thursday, this museum is still worth a visit to see its late-19th-century and early-20th-century collection of American and European modern works of art. Of particular interest is the museum’s Pizzuti Collection, which hosts global exhibitions and events showcasing everything from sculpture to photography to film, all with the goal of presenting diverse perspectives and talents that keep each visit fresh and exciting. Also worth a visit is the acclaimed Wexner Center, an arts center set up as a sort of interactive, experiential lab on Ohio State University’s campus. The Wex, as it’s called, also hosts international exhibits and isn’t afraid to think outside the box when it comes to programming. The idea is to invite visitors to dive into the art and see how it strikes them, not just stand there gaping with a camera in their hand. Beyond the museums, you can take part in the Gallery Hop and explore the many art showrooms in the Short North Arts District on the first Saturday of the month. Columbus is on the cutting edge of technological innovation. Columbus prides itself on being an innovative city. Take, for example, Smart Circuit, a driverless shuttle program that debuted in December 2018. 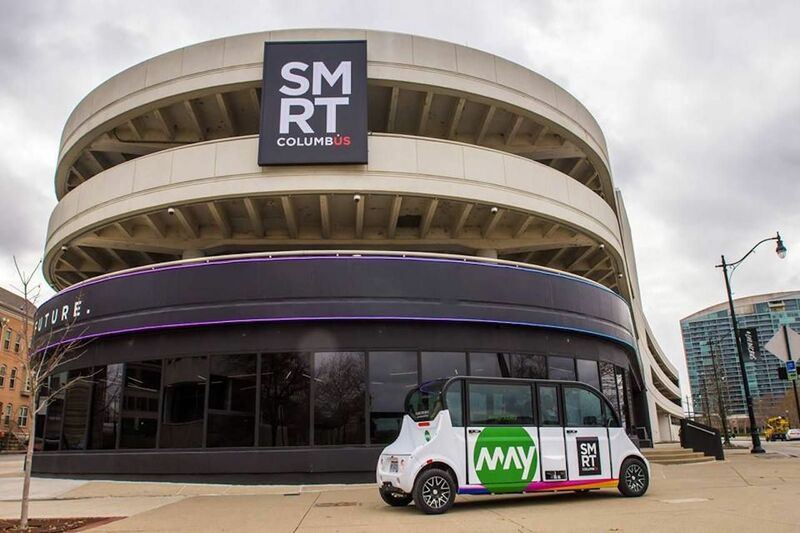 Currently open to the public, there are six shuttles traveling to four stops along the Scioto Mile in the heart of downtown Columbus. This public space features parks, bike paths, and pedestrian walkways as well as sculptures, fountains, and a free outdoor climbing wall, and you can get to it all in an autonomous car. The shuttle route connects important destinations along the city’s riverfront, including the Center of Science and Industry and the National Veterans Memorial and Museum. In the shuttles themselves, riders face one another in campfire-style seating, making it a great place to find out what’s happening in town as its quite easy to strike up a conversation with another tourist or local. You can also kick those kitchen skills up a notch on a trip to Columbus. 1400 Food Lab offers cooking classes for every level. Writer types will feel at home at Thurber House, a literary center honoring the author of The Secret Life of Walter Mitty that offers writing workshops and special evenings with authors from near and far. 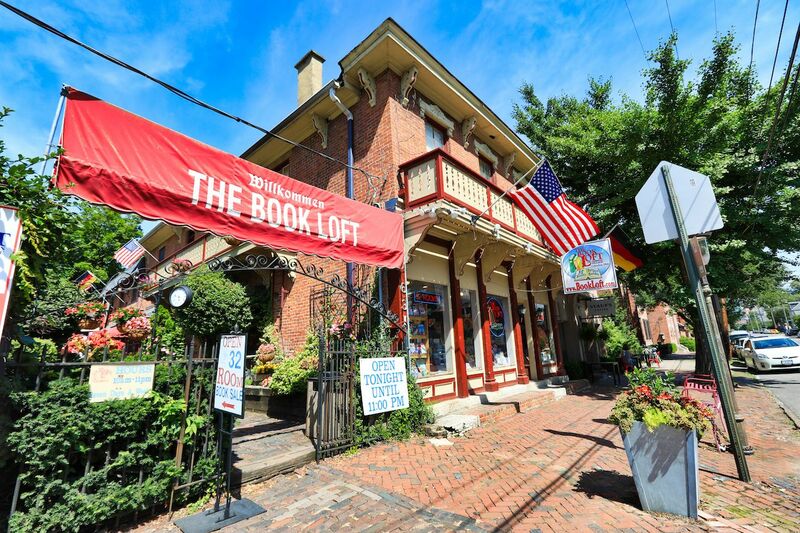 To check out an author’s work before you hear them speak, stop in The Book Loft in German Village. This 32-room, pre-Civil War building once housed a general store, saloon, and cinema. Today, it’s one of the country’s largest independent bookstores. The street art is worth a visit on its own. To really see Columbus, you need to approach the Gates of Hell. That’s right — the gates to hell have been hidden underneath North High Street all this time, discovered only by a handful of wayward graffiti artists. Okay, so maybe it’s not actually the gates of hell, but the city’s most famous drainage tunnel gets tagged with some pretty impressive graffiti. 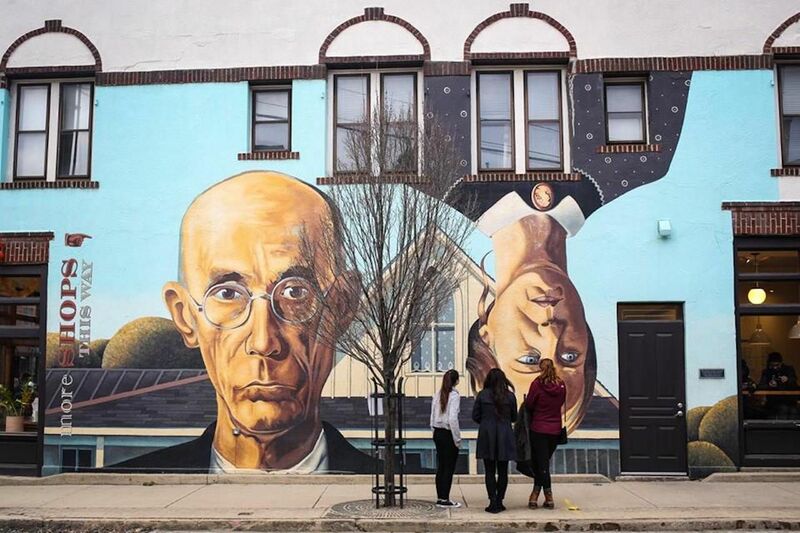 For more street art in less spooky locales, check out the giant murals situated around the heart of Columbus. At the intersection of North High Street and East Lincoln Street, you’ll find a C-bus rendition of Grant Wood’s American Gothic. Then make your way to North Pearl Street and Warren Street for a Mona Lisa that dwarfs the one hanging in the Louvre — and won’t have a crowd of tourists obstructing your view. 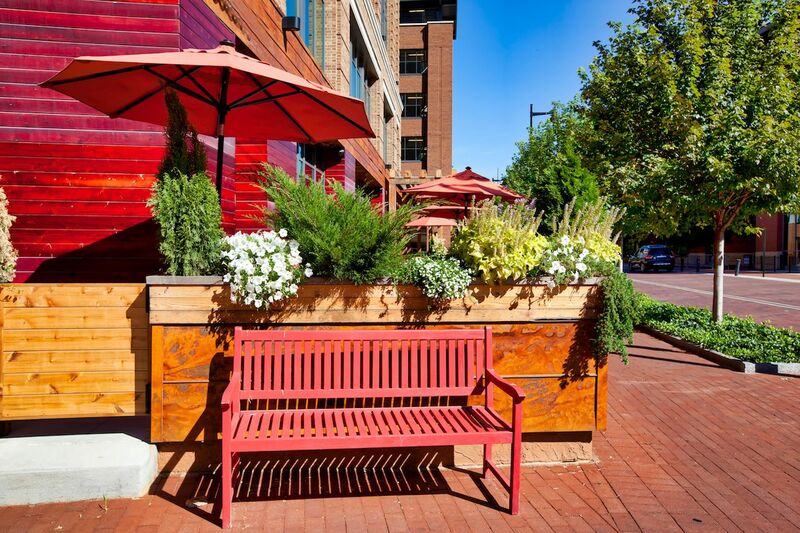 With everything there is to see and do in Columbus, a day exploring the city is sure to work up a thirst. Fortunately, there’s no shortage of spots to drink in Columbus, including a full-on beer hotel with shower beers and in-room taps. The city has a long history with beer. German immigrant Louis Hoster opened the first brewery here in 1836 in the area now known as the Brewery District. 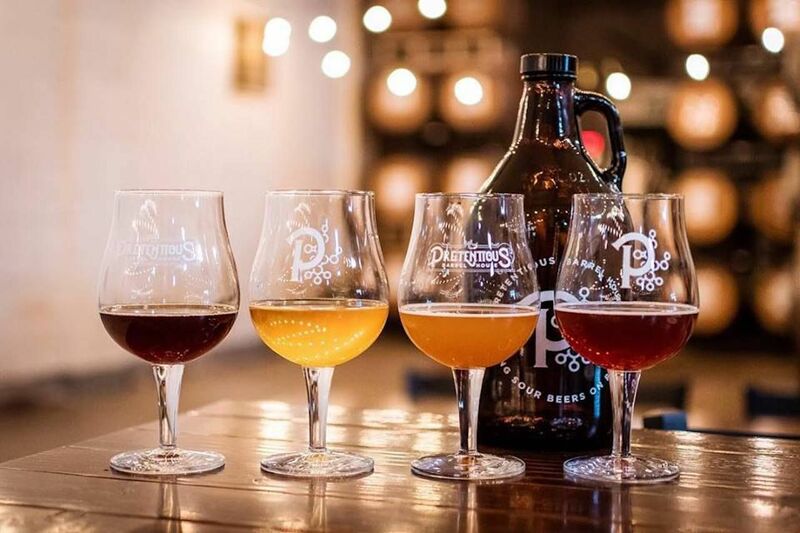 Craft beer nerds should head straight here, though you can find craft beer throughout Columbus. For a diverse taste of what the city’s brewers are creating, start with a pint at Land Grant then head to Hoof Hearted Brewery and Kitchen for a Max Profitz Sour IPA. The next stop should be Pretentious Barrel House for a pint of their reincarnated signature, the Truculent blonde. Finally, get heavy with a Scottish Ale or Russian Imperial Stout at Barley’s Brewing. For great beer outside of a brewery, pop into Bob’s Bar. Self-proclaimed as “The Cultural Hub of the Midwest,” this beloved C-bus dive bar has more than 200 beers to choose from. Columbus also has a thriving craft cocktail scene encouraged by local distilleries like Watershed Distillery on Chesapeake Avenue and Middle West Spirits on Courtland. Not only can you get a fantastic cocktail at Two Truths, but it’s also a great spot to see live music. Sip an ace boon sazeracoon while rocking out to an animated jazz quartet.